Made from 900 denier material with nubuck PU overlays. The boots feature Chota’s cushy PU midsole and bonded polypropylene felt soles. 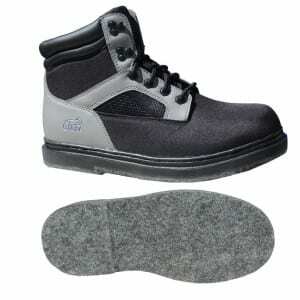 Standard laces and a high padded collar and soft non absorbing material round out this economical boot.